This has guided the principles of our philanthropic giving, so we have directed our attention primarily towards women and the environment although we’ve also found room for some other good causes, especially in the arts. 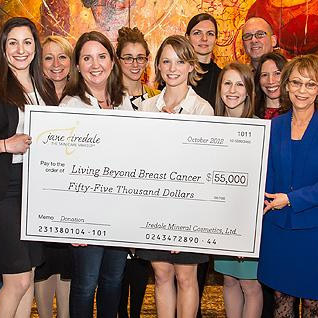 In October 2014, we celebrated seven years of partnership with Living Beyond Breast Cancer, a national education and support organization whose mission is to connect people with trusted breast cancer information and a community of support. 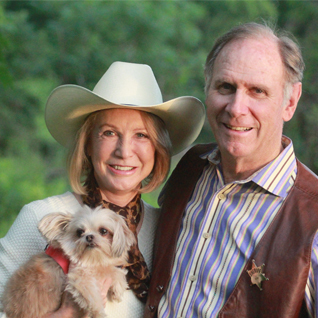 Our love of animals is directed to helping animals world-wide – wolves, polar bears, tigers, endangered frogs. Every species is stressed and would benefit from our help. Locally, we support the Berkshire Humane Society and, we’re proud to say, have a cat-spa named in our honour. The Literacy Network, an organization dedicated to providing free education through one-on-one tutoring to residents over 16. IS 183, a non-profit community art school encouraging people of all ages, means and skill levels to enrich their lives through hands-on experience in the visual arts. Jane Iredale sits on the board of Shakespeare & Company and The Mahaiwe Performing Arts Center. She is also a board member of ICMAD (Independent Cosmetic Manufacturers and Distributors), our industry trade association for small businesses. 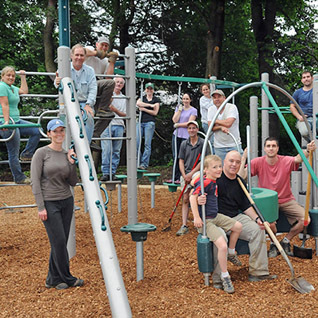 In 2011, we designed and built a playground in our home town of Great Barrington called Giggle Park. Local townsfolk, employees and partners volunteered their time to build the playground. The giggling hasn’t stopped yet.